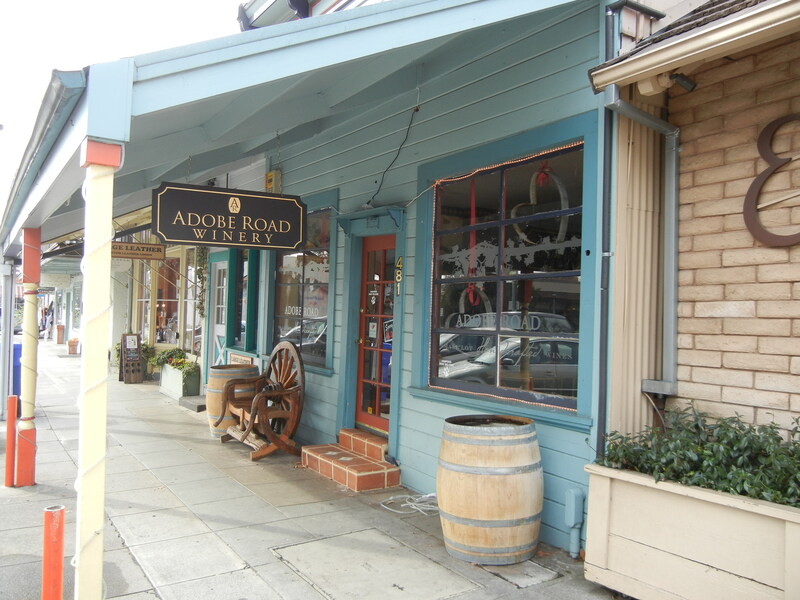 Today I visited the Adobe Road tasting room on the historic Sonoma Plaza. My father-in-law had been wanting to visit for some time and we decided to head in. They open at 11 at we were the first customers of the day…. The quaint tasting room is located on the West side of the plaza right in the middle of the block. We were greeted by the very friendly tasting room manager and welcomed in to the room like we were family. They taste 4 wines for $5 and also have a higher-end flight for $10. A real bargain given the quality of the wine. I very much enjoyed their Mendocino Grenache which had an awesome retail price of $15. All the wines were good to very good and are made just over the hill in Petaluma from vineyards throughout Sonoma County and beyond. I also found out that the owner is an avid race car driver and owner of a very successful racing teams in NASCAR and the Rolex Sportscar Series – good stuff! And in true Sonoma fashion turns out my father-in-law sees the tasting room manager often on the ‘bike path’ walking her dogs. Ahh, small town living. Everyone knows everyone. Maybe not completely true, but it happens a lot. 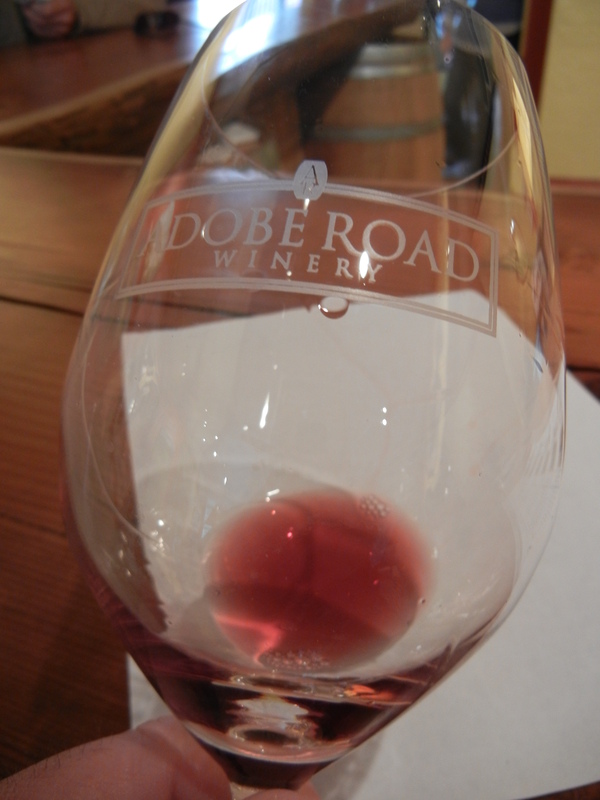 I would definitely recommend a stop in to the Adobe Road tasting room on the plaza. The wine is great, the atmosphere is inviting and the staff is friendly, knowledgeable and fun. Not to mention the room is open until 7 and you can purchase a bottle and hang out on their back patio. It’s a fantastic Sonoma experience.